If you need a solution for one room or a whole home, whether it be big or small, we have what you need. 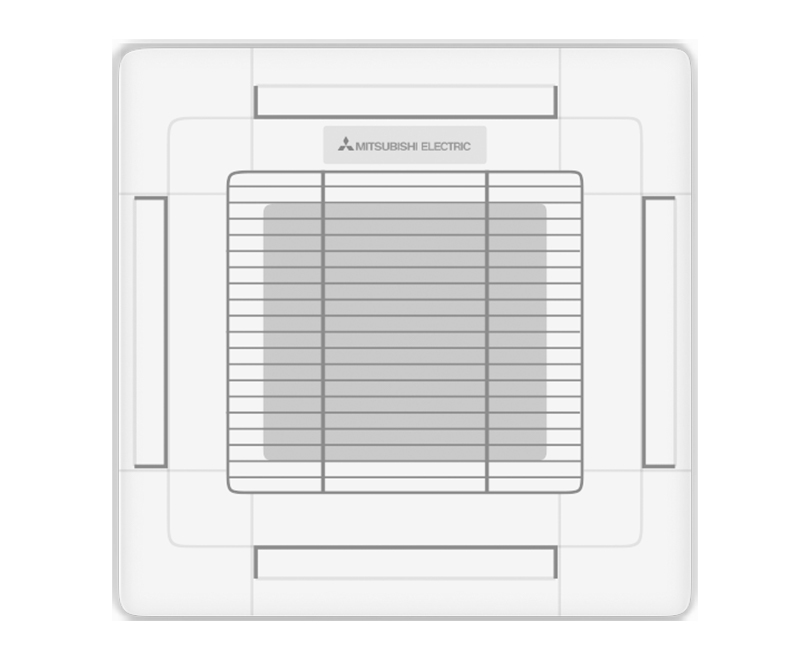 Whether you have a single uncomfortable room, you’re renovating your entire house, or you’re building a home from scratch, Mitsubishi Electric has a Zoned Comfort Solution™ that fits your unique needs. Because our systems focus on individual living spaces rather than treating every room the same, they're more customizable, more energy efficient, and easier to install. 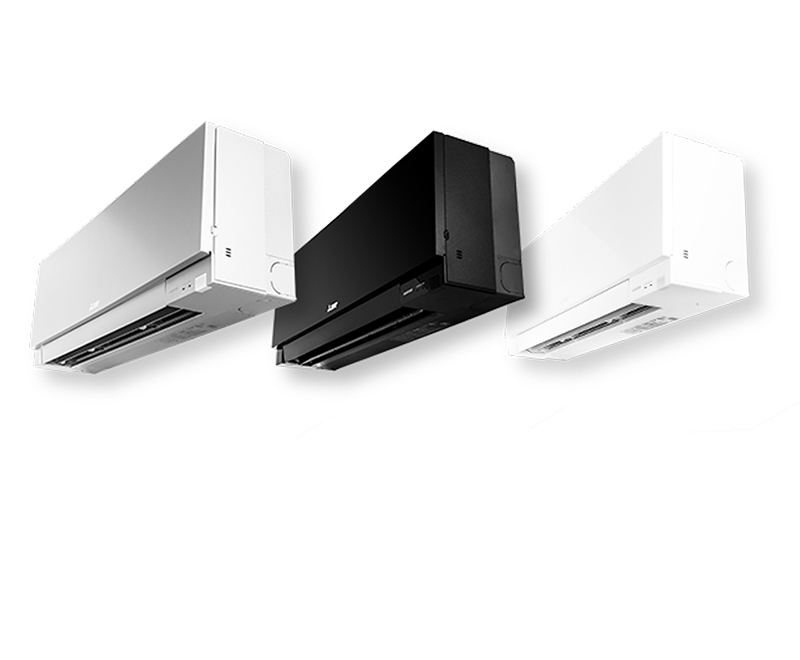 Sleek wall-mounted units not only provide cooling and heating to your room, they also monitor room conditions and adjust their fan speed to fine-tune your comfort. MULTI-LAYER ALLERGEN FILTRATION – Washable 10-year filters with multi-stage allergen filtration remove particulates and contaminants from the air with continuous fan operation for better air circulation. MATCH YOUR STYLE – Our wall-mounted units have a sleek design that blends into your environments. Units can be professionally painted or wrapped to complement your rooms. 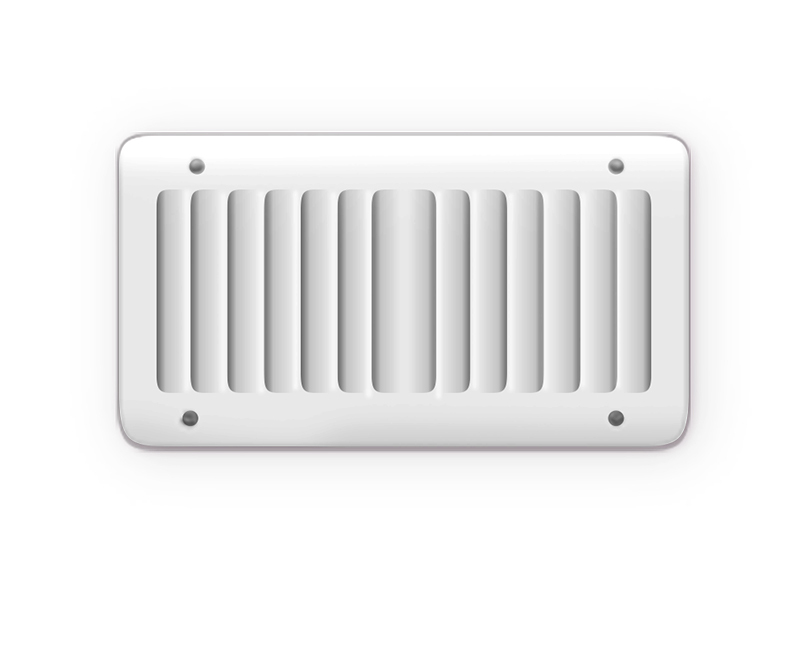 DISCREET – A low-profile ducted unit is installed above or below the room it is serving. These systems can keep you comfortable all year round, without compromising your home’s aesthetics. 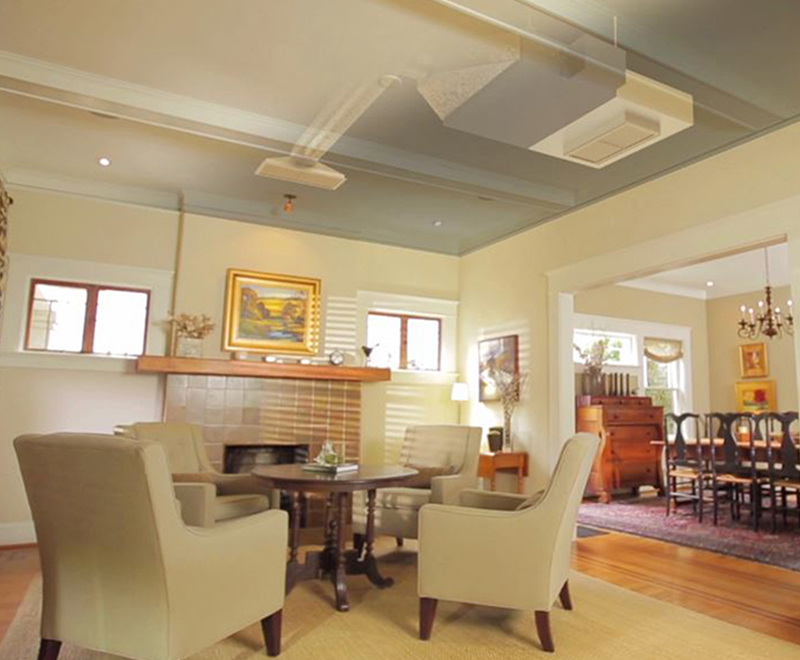 FOR ALL CEILINGS – Units can be placed in a hard ceiling with only a small access panel needed for servicing. Or, they easily fit into a drop ceiling. DURABILITY – Quality and care is built into each unit. Internal fan, coil, piping and circuitry are engineered and designed to work in harmony to provide years of reliable operation. Galvanized metal provides a solid and stable cabinet while leaving internal components easily accessible through clearly marked panels making it convenient to service. 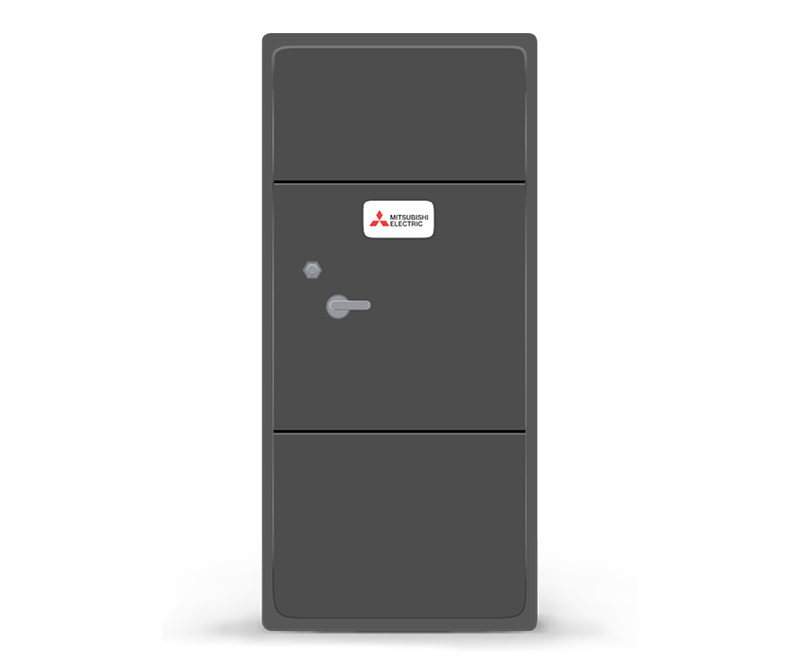 FLEXIBILITY – The multi-position air handler provides contractors with installation options. The unit can be installed vertically or horizontally which can mean going into otherwise too-cramped quarters. The unit also may be disassembled and transported through tight access points, such as attic openings, and reassembled on site. PERFORMANCE – DC motor runs quietly and powerfully, providing strong airflow efficiently. One inch foam, fiberglass- free insulation reduces condensation and boosts efficiency. HIGHLY-EFFICIENT INVERTER TECHNOLOGY – Traditional systems operate on an inefficient cycle of 100% on or 100% off. 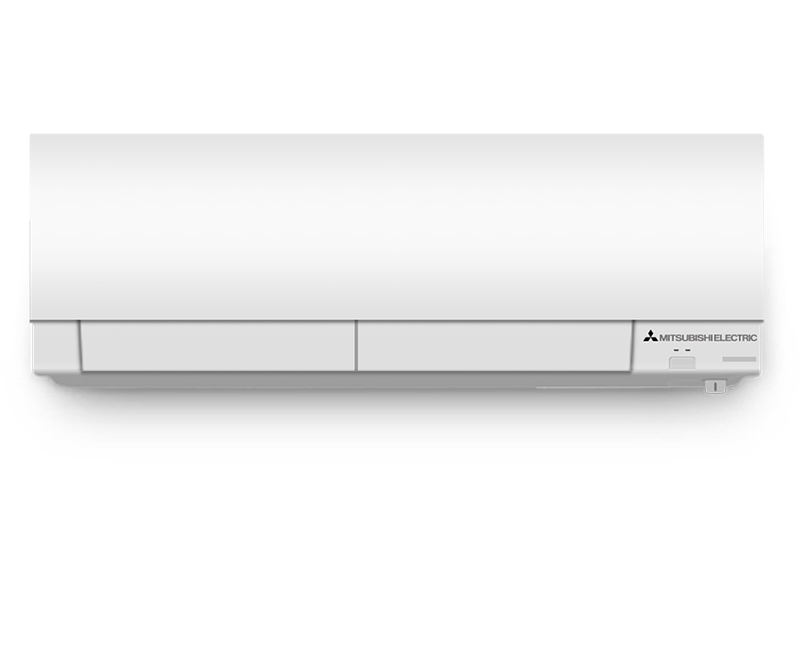 With Mitsubishi Electric’s INVERTER-driven compressor technology, our systems constantly measure conditions and then adjust compressor and fan speed up or down to maintain the desired temperature. EASY-ACCESS, WASHABLE FILTERS – Front panels make it easy to access the filters. 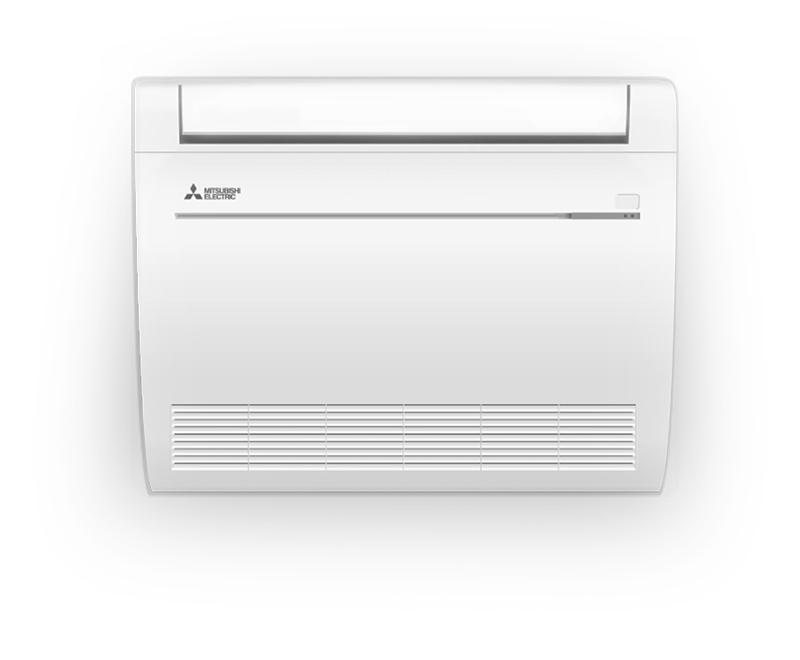 Instead of wasting money on new filters several times a year, Mitsubishi Electric indoor units use easy-to-clean, washable filters. You’ll never get caught without a filter again. HOT-START TECHNOLOGY – With Hot-Start technology and multi-vane airflow, you get hot air right away and rapid heating of the room. Pair your indoor unit with its perfect outdoor match for your home! Installation is quick and easy. Your contractor can connect the indoor and outdoor units with refrigerant lines and power and communication wiring through a through just a there-inch opening. Advanced filtration features deodorize and purify the air in your home, contributing to better health. Instead of wasting money on new filters several times a year, our indoor units use easy-to-clean, washable filters. Sensors on every unit monitor room conditions and automatically adjust to maintain the temperature you choose. Don't miss out on any local or regional specials. 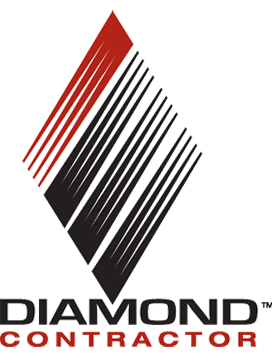 Contact your local Diamond Contractor to get the best deal on a heating and cooling system!